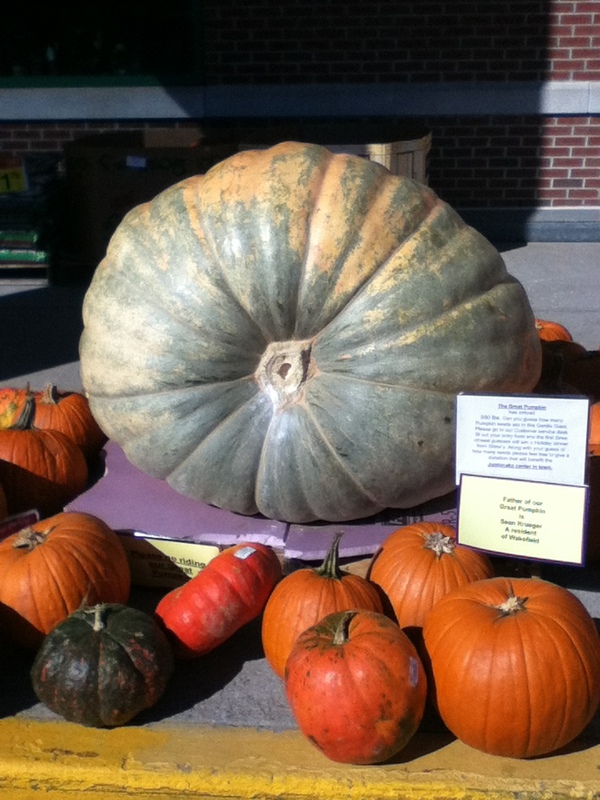 When I stopped at my local supermarket this week, this is what greeted me: an immense pumpkin – a behemoth! – 800 pounds, sitting right there on the curb, surrounded by its normal sized cousins. The sign next to it said it had been grown in Wakefield, not far from where we live. Growing record-smashing pumpkins (get it?) has become a Rhode Island pastime, right up there with digging for quahogs and driving to the beaches to watch the surf during hurricanes. Funny that a state so tiny should produce such greatness. It could be the cultivars, or the soil, or the TLC, or most likely a combination of all of the above. Check out how tiny my shopping cart looks behind the monster. These giants are not for eating. They are grown for size alone. That is quite impressive! How do they get them to grow this big? It’s a combination of the right cultivars, fertilizer, ridiculous amount of water, and even shade canopies to protect them from sunburn. Then, of course, you have to transport them to the judging venues…. I can’t even imagine how huge their gardens must be. With much TLC and lots of fertilizer and water, Martha! There’s a group of guys in RI who started this as a fun hobby; I saw them lecture a couple of years ago, and the amount of time and care they put into these monsters is unbelievable. One of them said that he even “borrows” the quilts off the beds to keep them sheltered when a frost nears (Ouch!) I do know that seeds from a champion cost big bucks and moving the finished product from from field to competition is quite a feat in itself! So crazy but fun at the same time. Quilts!!!! If pumpkins are the great equalizers, Rhode Island is the biggest little state in the union. 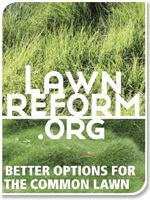 If not, there’s nothing wrong with growing some big fun. 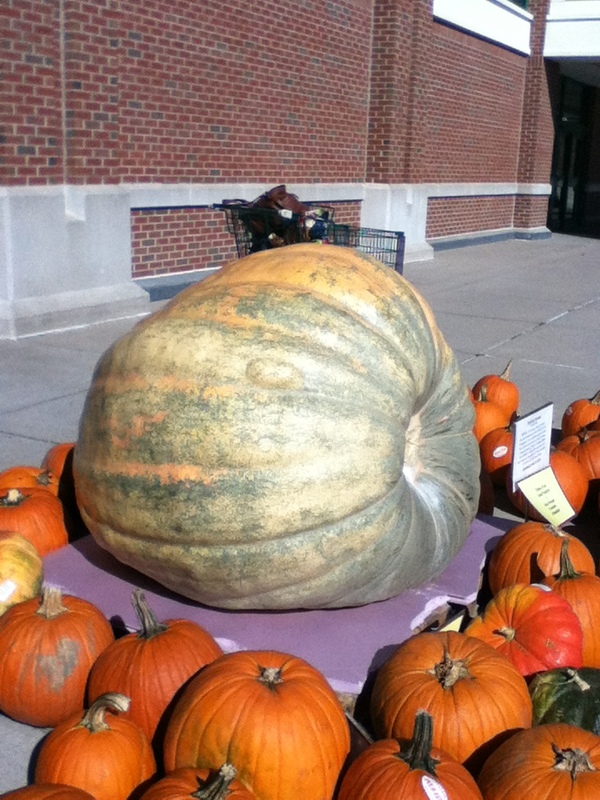 i used to work with the guy who wrote THE book on it, How to Grow World-Class Giant Pumpkins. you can buy 1 seed from his 2002 953-pound behemoth for $50.00. 1 seed. check it out.